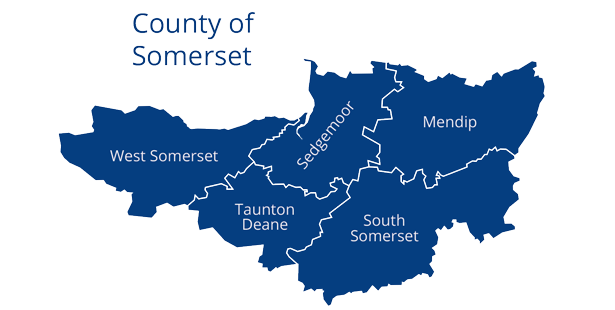 Your project must be for the benefit of one or more communities in the county of Somerset experiencing residual and intangible impacts as a result of the construction of Hinkley Point C.
It may be designed to remove or reduce impact and improve the social, economic or environmental wellbeing of communities and improve quality of life. A project could also help your community to take advantage of the opportunities presented by the Hinkley Point C development. We welcome applications from registered charities, voluntary organisations, social enterprises and Parish Councils, Town Councils, District Councils and the County Council. If your organisation does not match this criteria, please contact us before applying. You may apply for capital or revenue funding or a mix of the two. There are currently four grant programmes you can apply to. You may only apply to one of the below programmes for your project. Grants from £5,000 to £99,999 are available to charities, voluntary groups, and social enterprises. Grants will be awarded for projects, measures or initiatives that help to mitigate impacts felt in your community from the construction of Hinkley Point C or which help members of the community to access its opportunities. You can apply for both capital and revenue costs. In order to help you ensure that your project will meet the criteria of the fund, we ask that you submit a 200 word summary of your idea and its connection to Hinkley Point C before we send you a link to your application form. This form is available through the link below. Grants for projects over £100,000 are available to charities, voluntary groups, and social enterprises. Grants will be awarded for projects, measures or initiatives that help to mitigate impacts felt in your community from the construction of Hinkley Point C; or which help members of the community to access its opportunities. You can apply for capital and revenue costs. There is a two-stage application process. The Awards Panel will first consider an expression of interest before deciding whether to invite a full application. You can apply at any time. The Awards Panel meets quarterly to make decisions. To be considered at the next award meeting your expression of interest or full application must be submitted by 22 March 2019. Applicants are advised that there could be a period of up to 7 months between submitting an expression of interest and receiving a decision on a second stage application. You can apply at any time. Decisions are generally made every six – eight weeks. To be considered at the next award meeting your application must be submitted by March 29 2019. Strategic grants will target specific impacts felt within Somerset communities as a result of Hinkley Point C. These impacts will be identified through consultation with communities and their representatives as the project progresses. It is likely that priorities within the strategic grants programmes will change as communities change therefore we anticipate it being an iterative process and advise applicants to continue to check the available grants programmes regularly. Two calls for bids were issued in 2018 for community cohesion themes. This grants programme is currently closed to new applications. Your project must aim to improve the social, economic or environmental wellbeing of the community of Cannington, affected by the development of Hinkley Point C.
The project must be relevant to the impacts you have identified, either by reducing or removing impacts or by helping your community to take advantage of opportunities presented by the Hinkley Point C development. Expressions of interest can be submitted at any time.